It is Avignon Hôtel Particulier, and it is, in a word, beeeeeeeyond. A 19th century restored French chateau. Avignon Hôtel Particulier. Photo: Haven In. 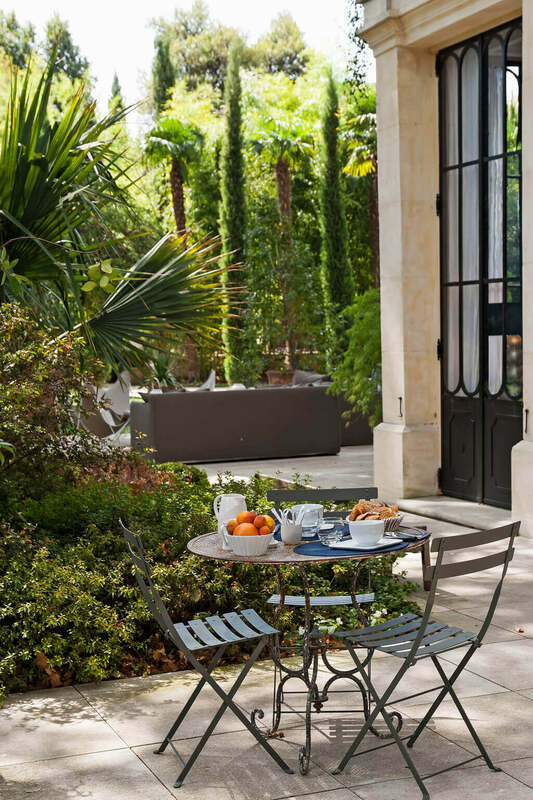 I’m taking you inside this Provençal gem – a Restored 19th Century Avignon Mansion (steps from the Palais des Papes!) where THE SERENITY SUITE offered by Haven In is available to book for a stay. 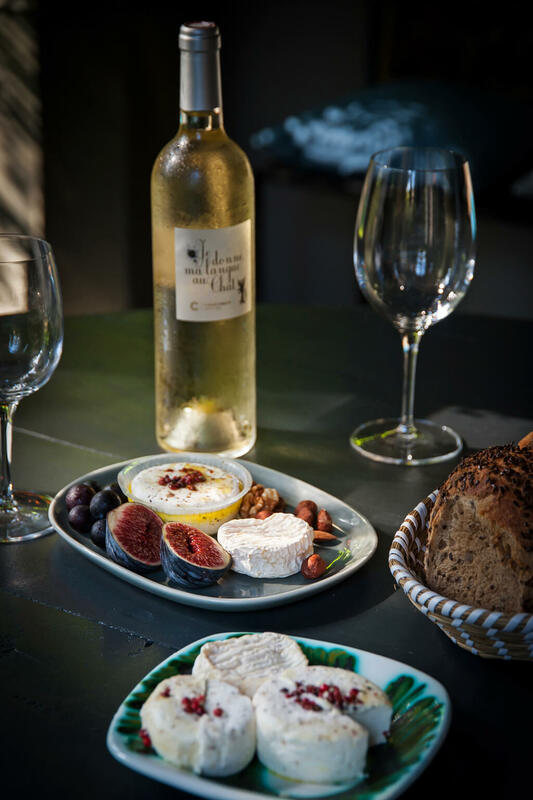 But just before we check in, reach for Camembert and Chardonnay, or stroll magnificent gardens (OMG, see them in detail HERE! ), there’s a petite bougeiois housekeeping matter to address. 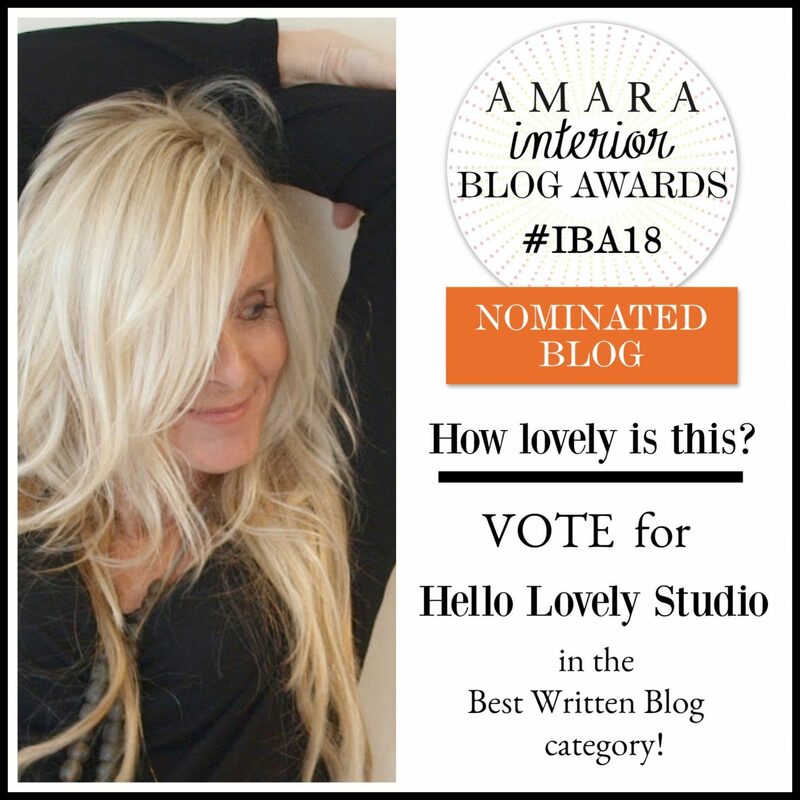 Hello Lovely is nominated for Best Written Blog (Amara Interior Blog Awards 2018)! To vote for us (yes, US..there’s no writer or blog without readers, and you lovely ones are the cat’s pajamas), GO RIGHT HERE. VOTE HERE pour Hello Lovely, s’il vous plait! “Self-promotion and campaigning for yourself is so frackin AWESOME von AWESOME and not awkward at all!” said no one in the history of blogdom. Should you decide to take a few seconds to cast a vote to get me on that short list…thank you, guys! Not gonna lie. Winning the honor would feel dreamier than a week of frolicking at this French fantasy retreat! Outdoor dining at a 19th century restored French chateau. Avignon Hôtel Particulier. Photo: Haven In. See more of the exquisite gardens RIGHT HERE. 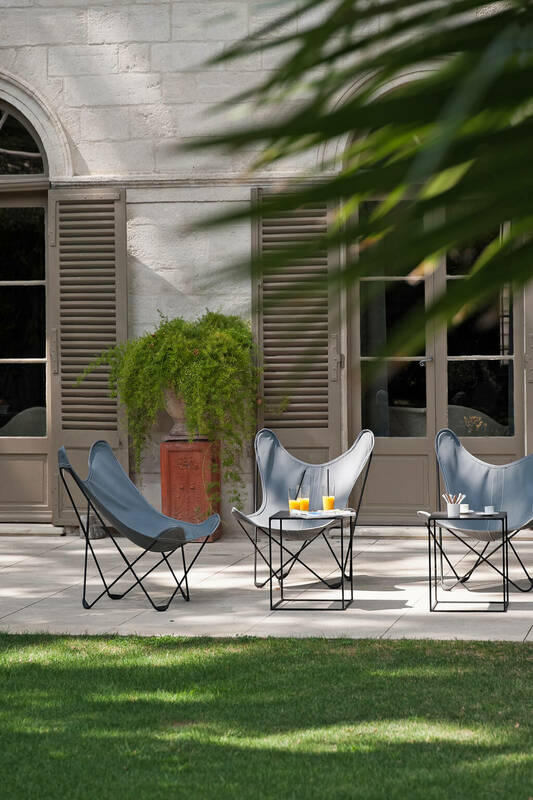 The Serenity Suite at Avignon Hôtel Particulier is a luxury rental offered by Haven In, a well-respected firm I worked with firsthand when we booked an apartment in Paris. 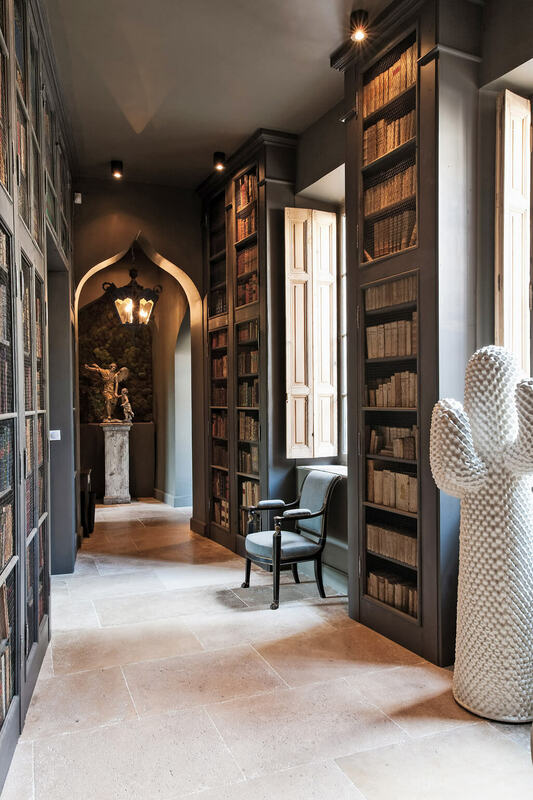 Stone and architectural magnificence in the entry of a 19th century restored French chateau. Avignon Hôtel Particulier. Photo: Haven In. South of France fantasy inspiration. W H A T A U N I Q U E P O I N T O F V I E W the interior design takes! The Serenity Suite is one of five suites at the property. Located in the heart of the medieval city center. 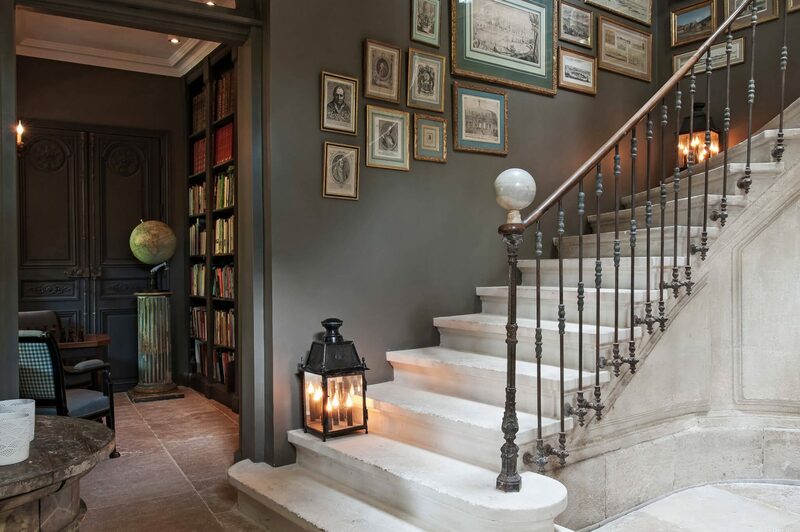 Architectural splendor and staircase in a 19th century restored French chateau. Avignon Hôtel Particulier. Photo: Haven In. South of France fantasy inspiration. 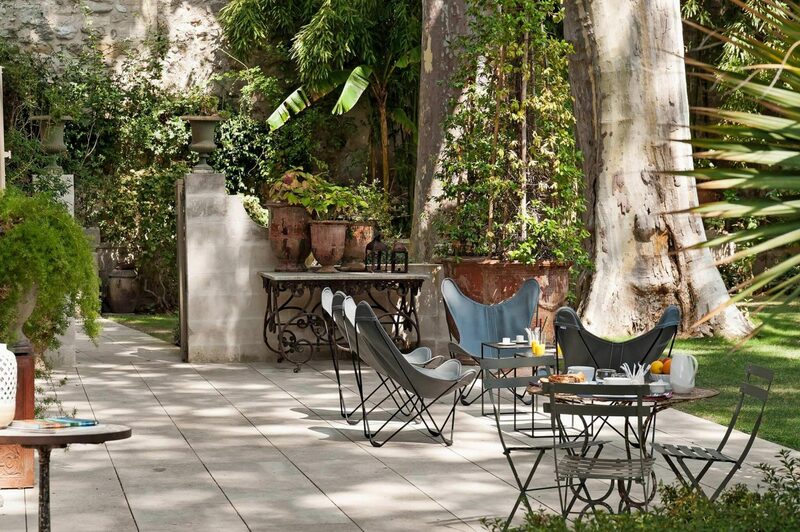 Boasts the largest private garden in Avignon. Timeless and tranquil inspiration at a 19th century restored French chateau. Avignon Hôtel Particulier. Photo: Haven In. South of France fantasy inspiration. 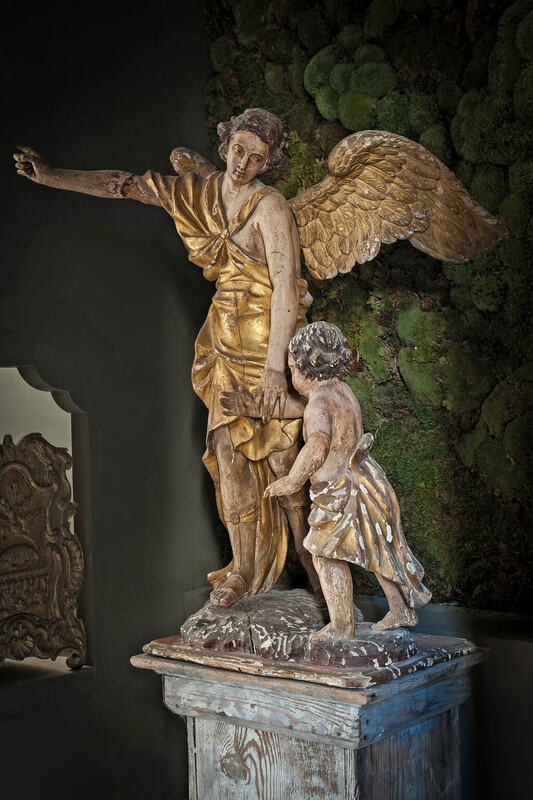 Is home to an incredible collection of more than 200 original 17th-19th century aquarelle paintings and gravures, formerly exhibited in the Palais des Papes. Decorated with its fair share of oddities and one-of-a-kind treasures. Guaranteed to blow yer mind!!! 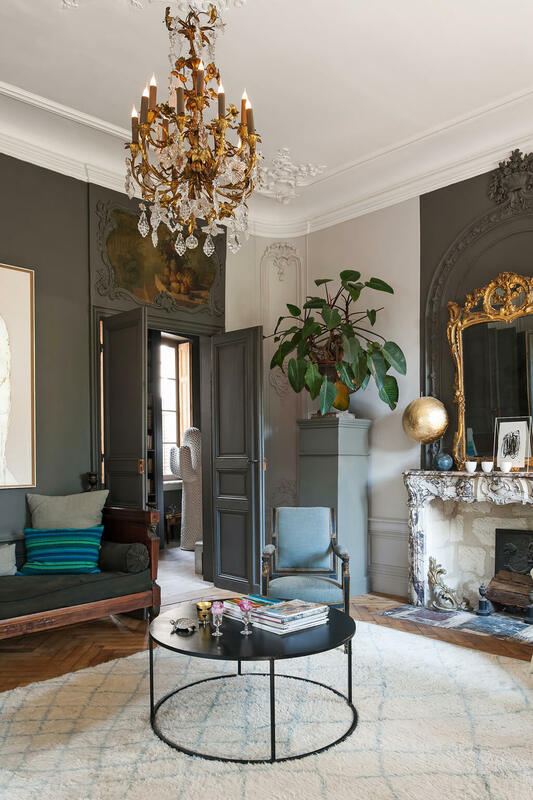 French grey paint accents, herringbone pattern on floor, and eclectic furnishings in a salon within a 19th century restored French chateau. Avignon Hôtel Particulier. Photo: Haven In. South of France fantasy inspiration. Keep in mind, the mansion’s interiors are designed for hotel guests! Magnificent chandelier, herringbone pattern wood floor, and gilded details in a 19th century restored French chateau. Avignon Hôtel Particulier. Photo: Haven In. 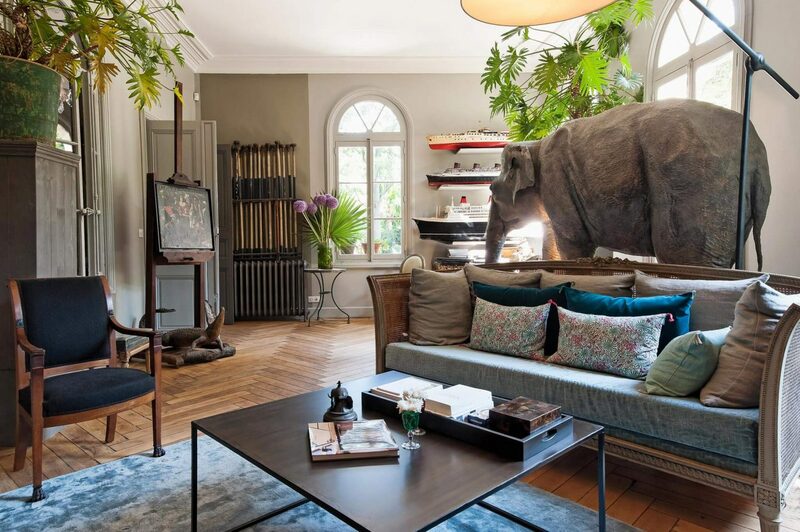 French modern interior design inspiration. Magnificent painted screen, plaster walls, antique architectural elements, and inspiring interior design. A 19th century restored French chateau. Avignon Hôtel Particulier. Photo: Haven In. 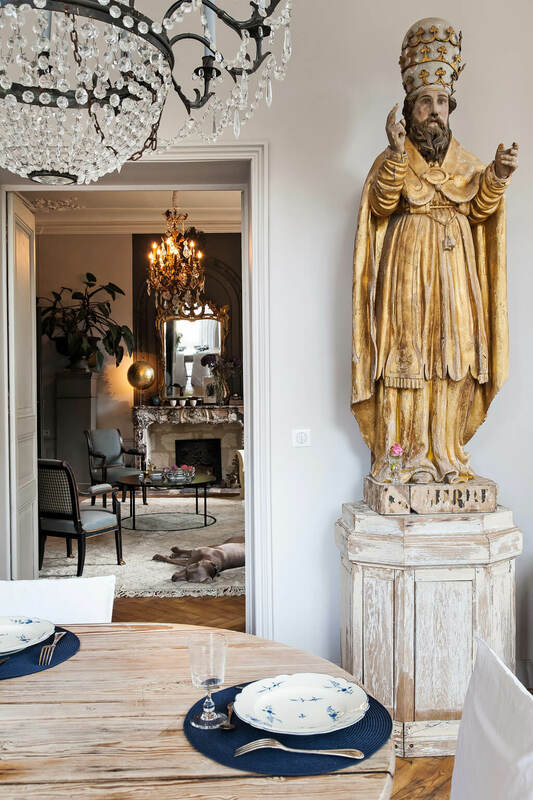 Edgy art mixed with traditional architecture and restored elegance in a 19th century restored French chateau. Avignon Hôtel Particulier. Photo: Haven In. 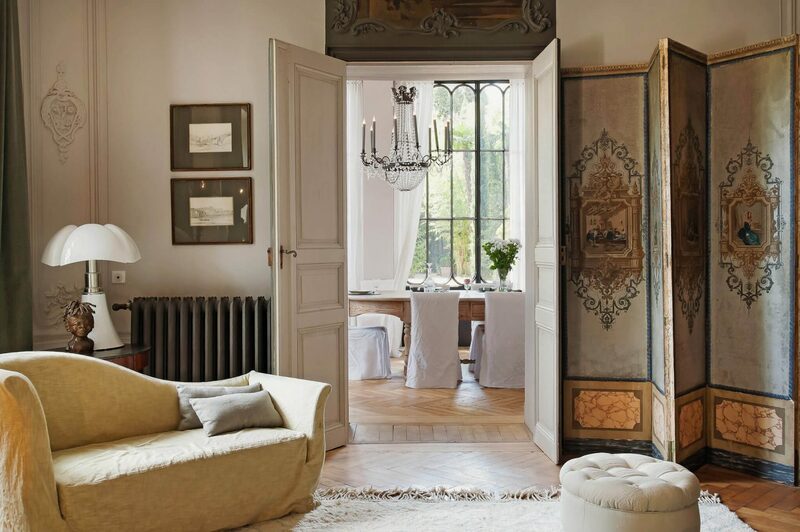 Chic interior design inspiration from the South of France. The tranquility extends to all creatures. A 19th century restored French chateau. Avignon Hôtel Particulier. Photo: Haven In. 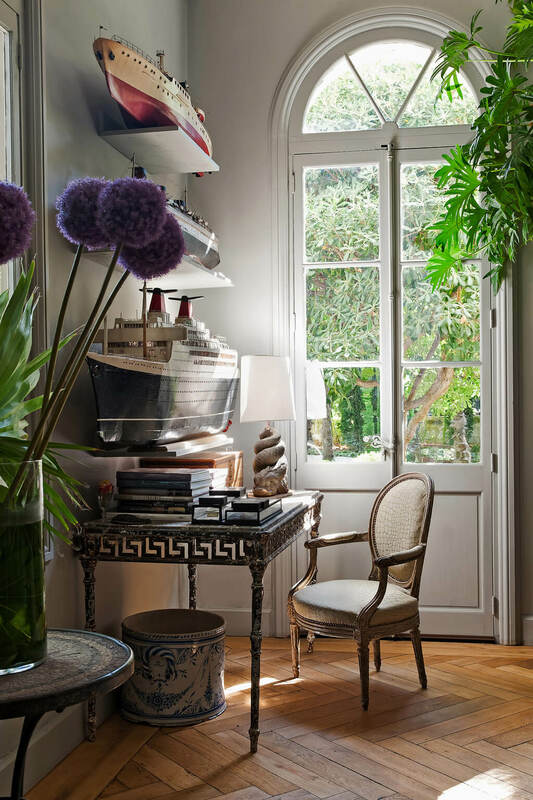 Chic interior design inspiration from the South of France. 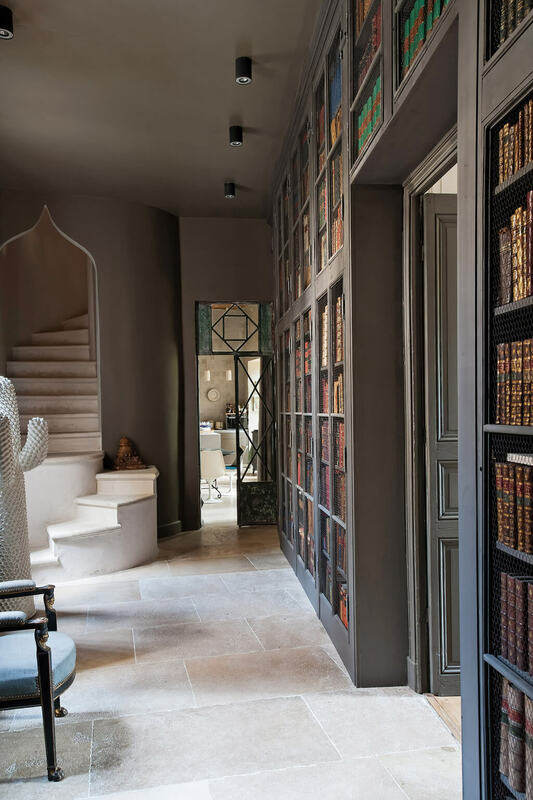 Built-in bookshelves, French limestone flooring, and warm French grey painted walls create a charmingly timeless and tranquil ambience. A 19th century restored French chateau. Avignon Hôtel Particulier. Photo: Haven In. Timeless interior design inspiration from the South of France. Modern art and eclectic interior design in a magnificent hotel! A 19th century restored French chateau. Avignon Hôtel Particulier. Photo: Haven In. Timeless interior design inspiration from the South of France. Surely there is no other library in existence resembling this enchanting one. A 19th century restored French chateau. Avignon Hôtel Particulier. Photo: Haven In. 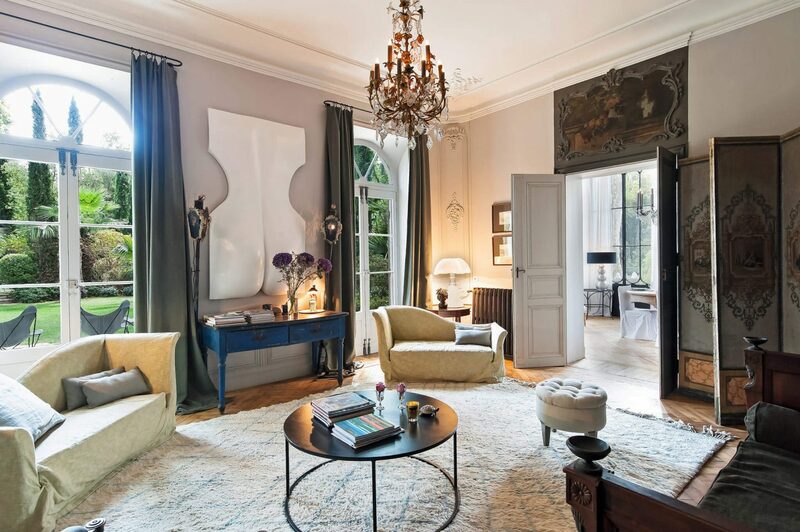 Timeless interior design inspiration from the South of France. 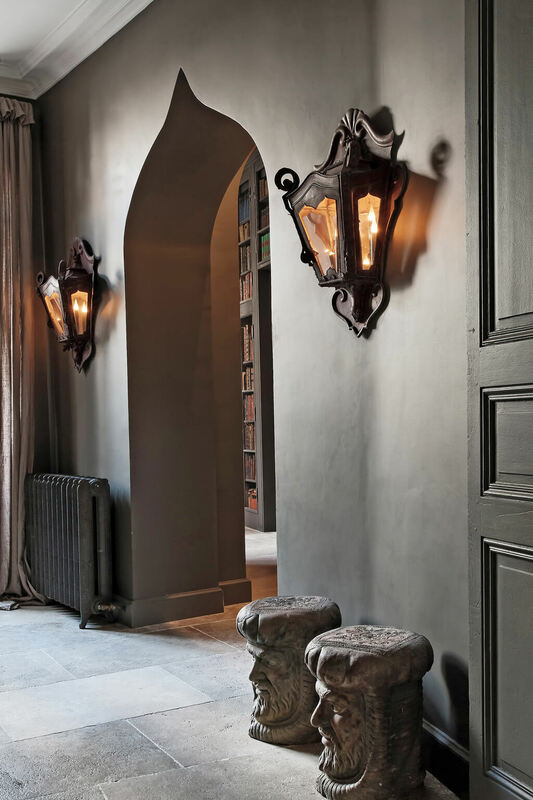 Beautiful plaster walls and charming arched doorway flanked by exquisite antique lanterns. A 19th century restored French chateau. Avignon Hôtel Particulier. Photo: Haven In. Wall finish inspiration from the South of France. 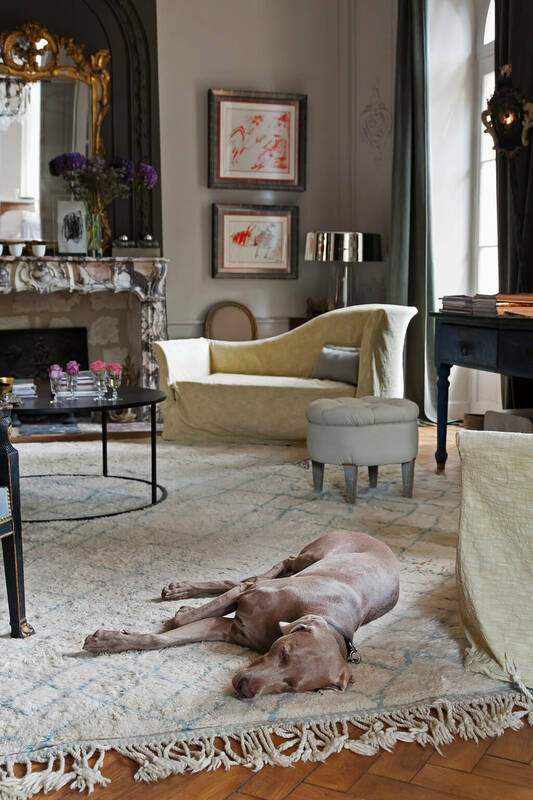 Antiques, art, and modern interior design are masterfully mixed in a 19th century restored French chateau. Avignon Hôtel Particulier. Photo: Haven In. 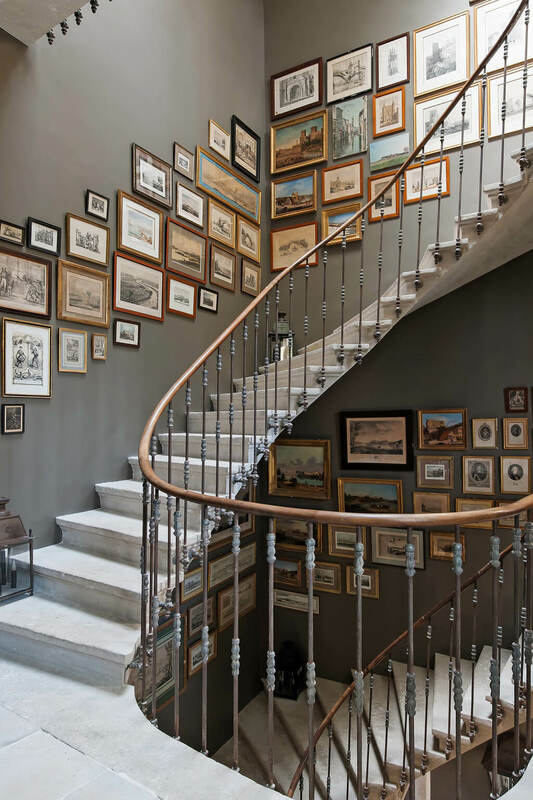 Stunning French staircase details and a gallery of framed art against French grey walls. A 19th century restored French chateau. Avignon Hôtel Particulier. Photo: Haven In. Gallery wall and Proencal interior design inspiration. The elephant in the room. A 19th century restored French chateau. Avignon Hôtel Particulier. Photo: Haven In. Herringbone pattern wood floor inspiration. 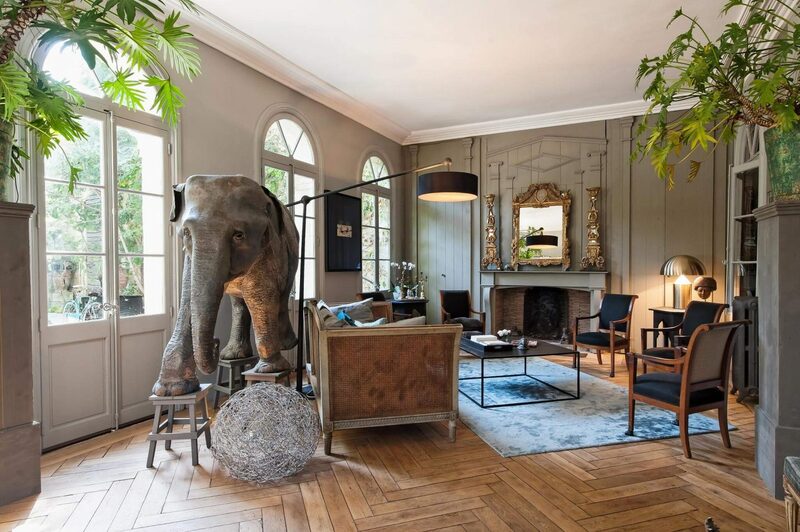 Uniquely decorated French salon with herringbone pattern wood floor, elephant sculpture, and modern furnishings. A 19th century restored French chateau. Avignon Hôtel Particulier. Photo: Haven In. 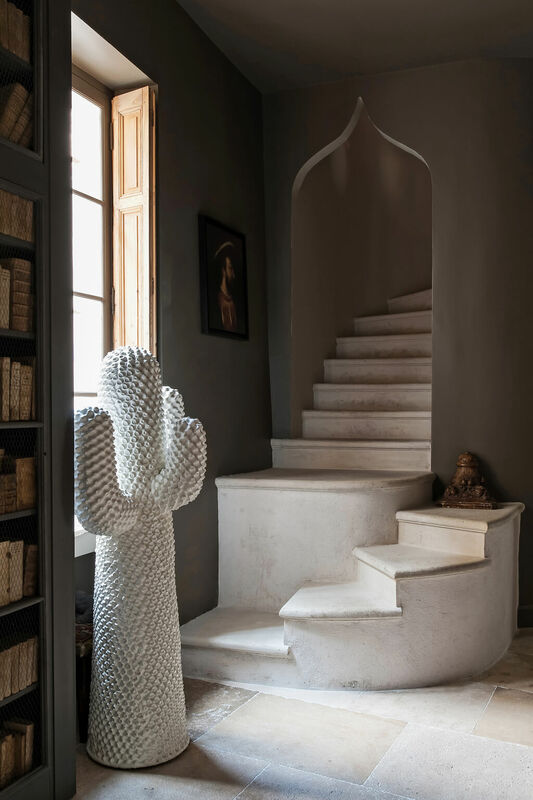 Modern art and traditional architecture inspiration from the South of France. Cozy corner with Louis chair and shelves displaying ships. A 19th century restored French chateau. Avignon Hôtel Particulier. Photo: Haven In. 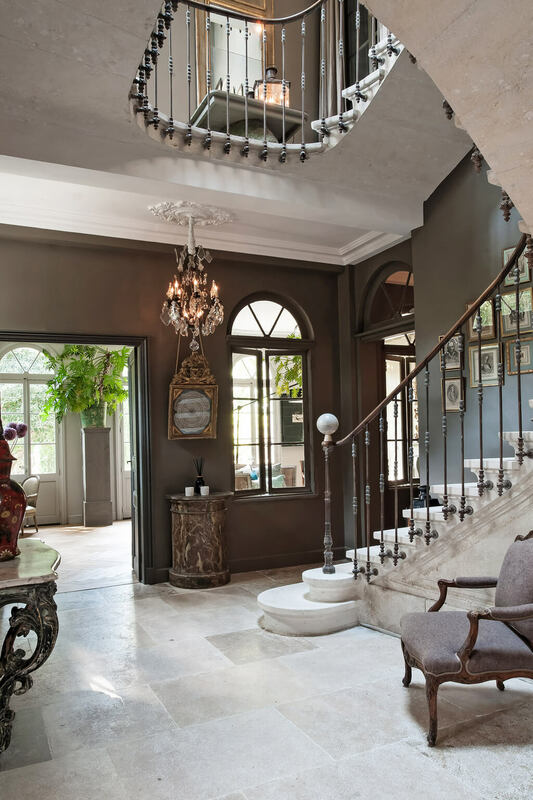 Provencal interior design inspiration from a luxurious mansion. Dining room. 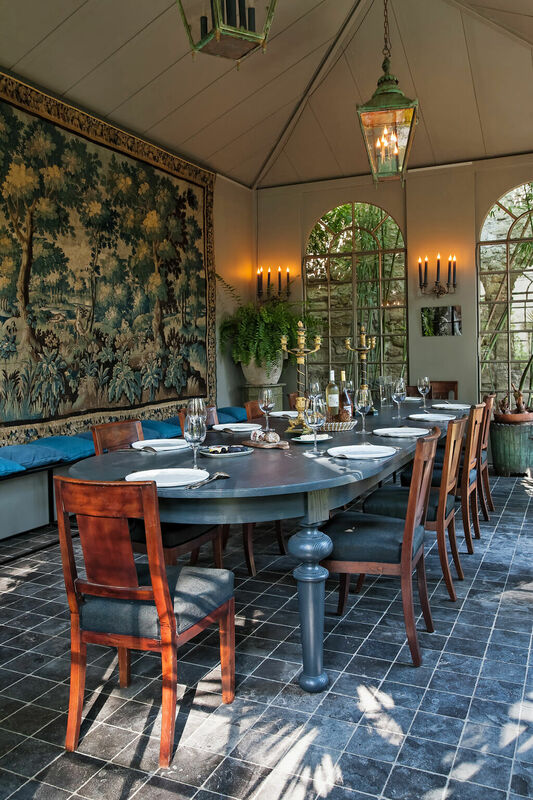 Empire style chandeliers float over a rustic farm table surrounded by linen slipcovered dining chairs. Herringbone pattern wood floor, antiques, and neutral color palette sing. A 19th century restored French chateau. Avignon Hôtel Particulier. Photo: Haven In. Rustic elegance and Provencal interior design inspiration. Antique painted armoire, planked farm table, and modern slipcovered dining chairs in a magnificent French country dining room. A 19th century restored French chateau. Avignon Hôtel Particulier. Photo: Haven In. Luxurious rustic luxe Provencal interior design inspiration. White slipcovered dining chairs surround a magnificent farm table in the dining room. 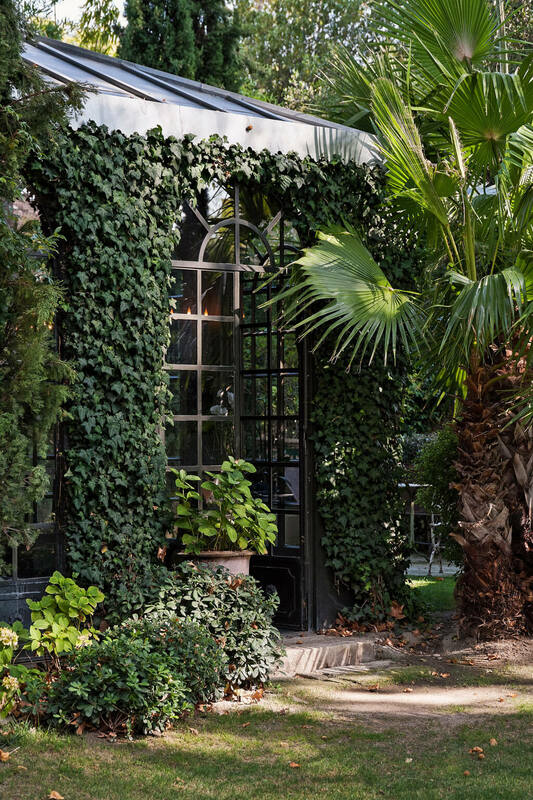 Walls of windows overlook the lush gardens with cypress. A 19th century restored French chateau. Avignon Hôtel Particulier. Photo: Haven In. 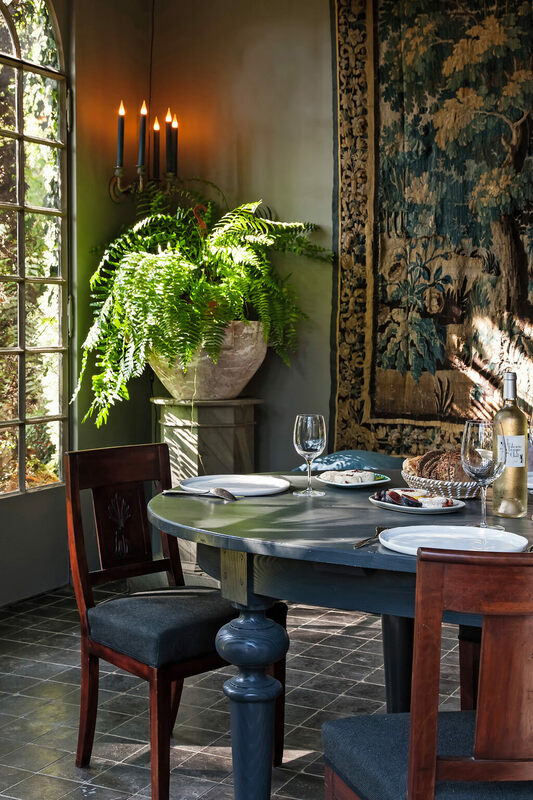 Elegant dining room inspiration from a Provencal beauty. 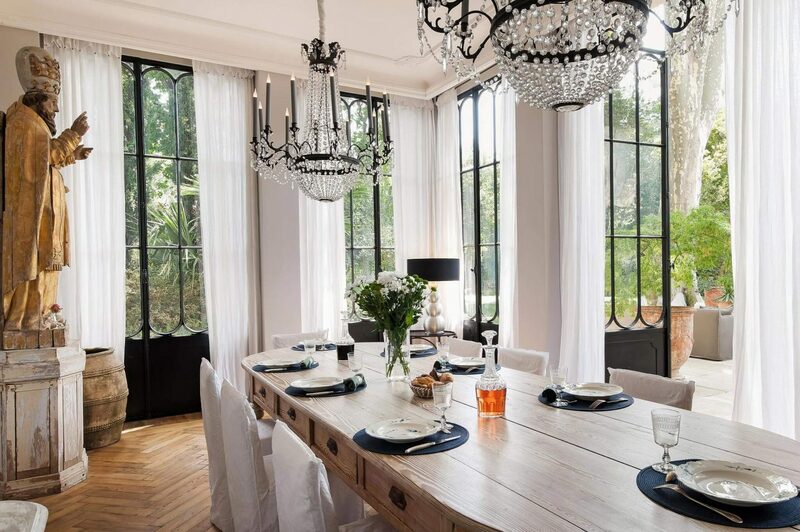 Billowy white curtains accent black painted French doors and windows in the dining room. A 19th century restored French chateau. Avignon Hôtel Particulier. Photo: Haven In. Rustic elegance in a South of France mansion. 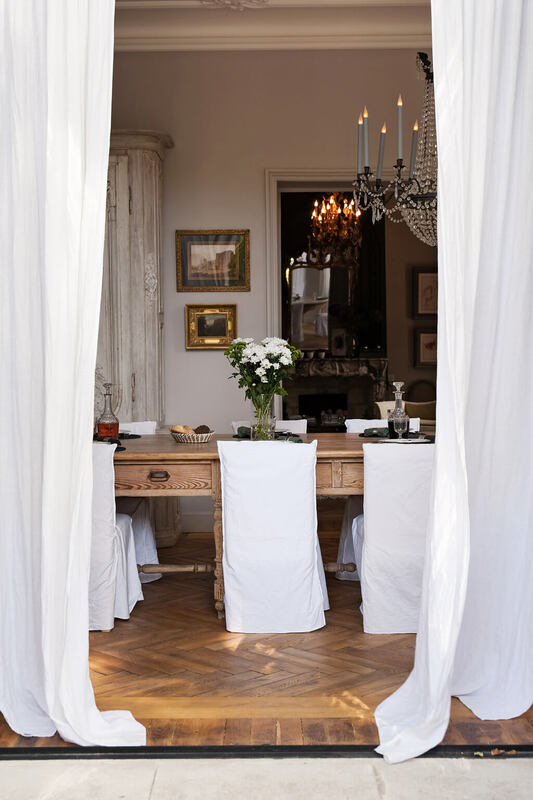 Billowy white curtains frame a stunning French dining room in a 19th century restored French chateau. Avignon Hôtel Particulier. Photo: Haven In. 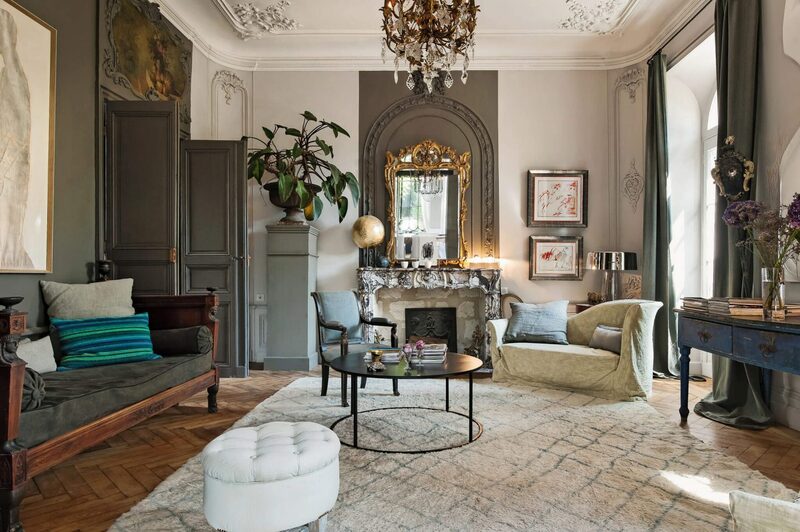 Ethereal interior design inspiration from France. Antiques, architectural magnificence, and luxurious interior design in a dining room within a 19th century restored French chateau. Avignon Hôtel Particulier. Photo: Haven In. 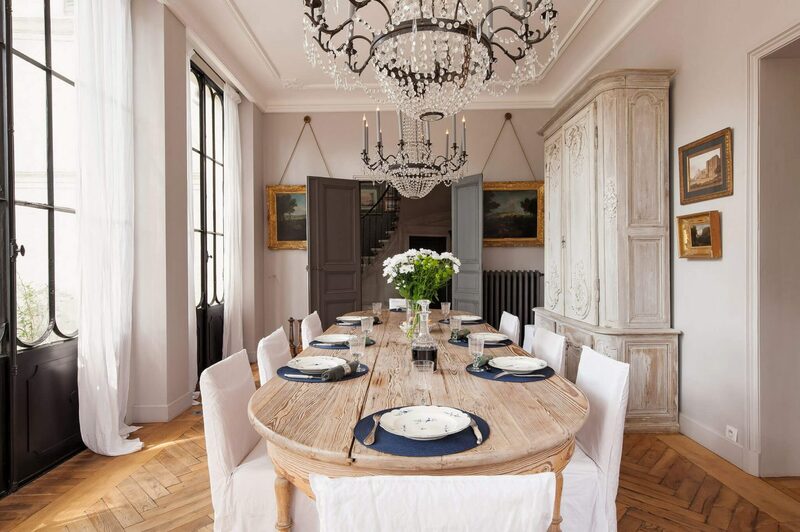 Chic, elegant, and rustic interior design inspiration from France. 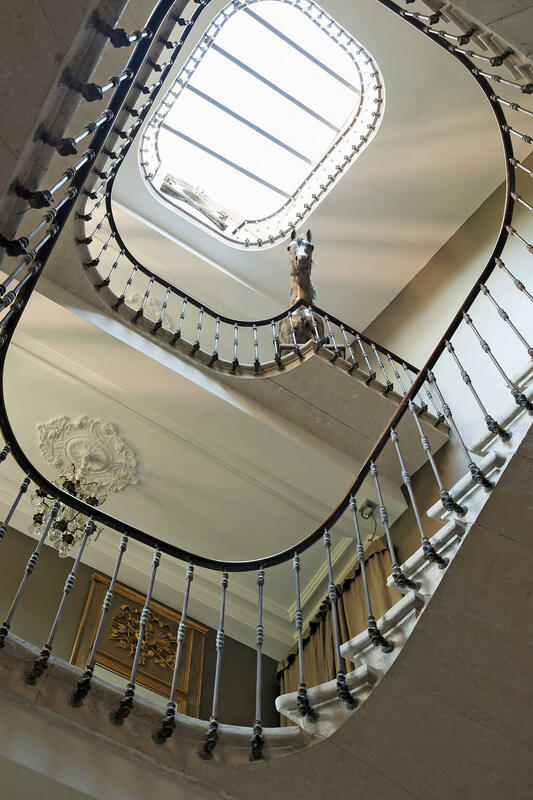 Magnificent architecture on a staircase with the loveliest iron railings in a 19th century restored French chateau. Avignon Hôtel Particulier. Photo: Haven In. Provencal beauty, architectural splendor, and restoration wonder from France. Modern tulip chairs surround a table near a French stone fireplace in a lounge area of a luxurious 19th century restored French chateau. Avignon Hôtel Particulier. Photo: Haven In. 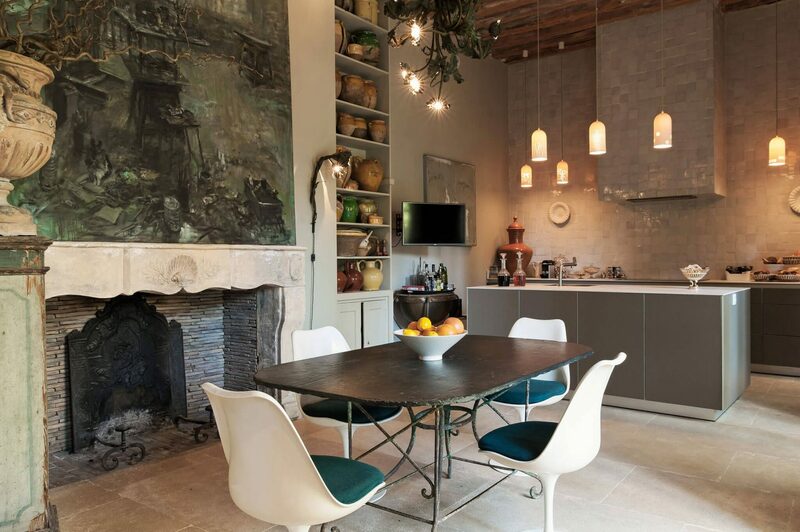 Midcentury-modern style in a luxurious Provencal mansion. Zellige tiled wall in a lounge area with wood ceiling and tulip style midcentury-modern style dining chairs. A 19th century restored French chateau. Avignon Hôtel Particulier. Photo: Haven In. 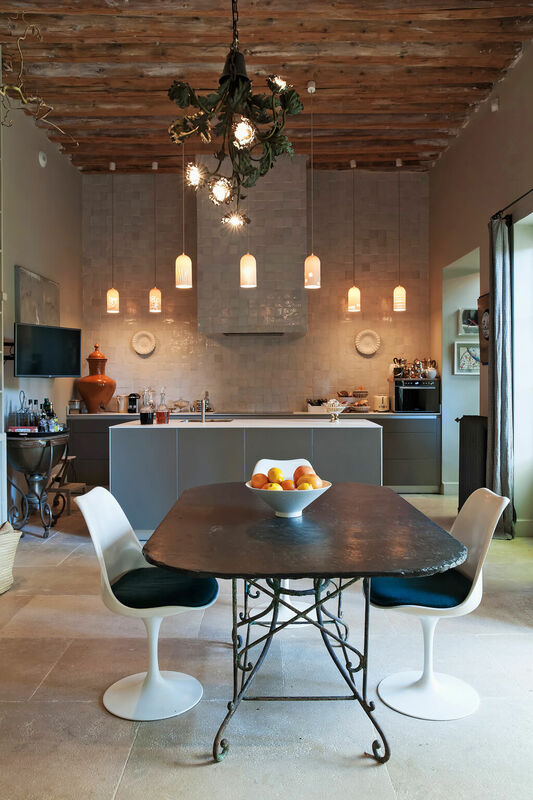 Rustic wood beamed ceiling inspiration from a beautiful Provencal mansion. Rustic modern and eclectic kitchen area with zellige tiled wall and range hood. Luxurious 19th century restored French chateau. Avignon Hôtel Particulier. Photo: Haven In. 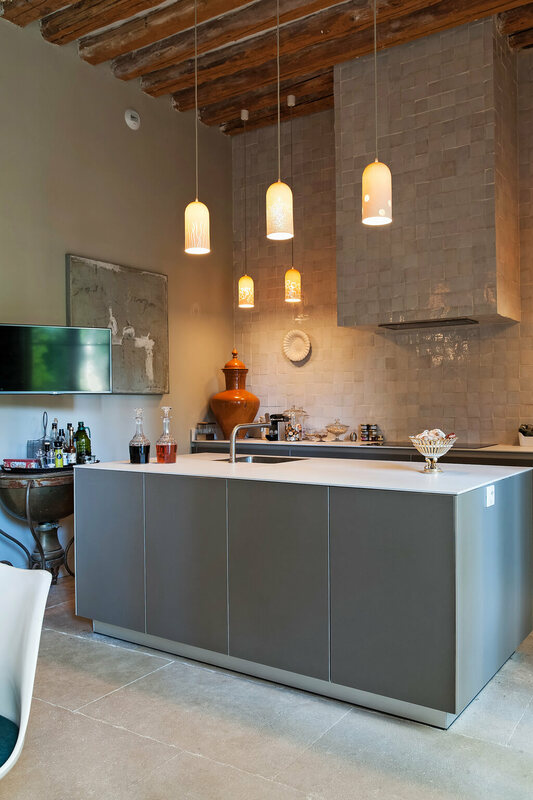 Modern kitchen design in a rustic, elegant, and luxurious Provencal mansion. Tropical and lush garden in the South of France at a luxurious 19th century restored French chateau. Avignon Hôtel Particulier. Photo: Haven In. Find a tour of the exquisite gardens RIGHT HERE. French dining room with beautiful blue farm table and tiled floor. Lantern pendants float above the table and a tapestry decorates the wall. A 19th century restored French chateau. Avignon Hôtel Particulier. Photo: Haven In. Arched windows, French doors, and magnificent candle style sconces line the walls of a romantic French dining room. A 19th century restored French chateau. Avignon Hôtel Particulier. Photo: Haven In. 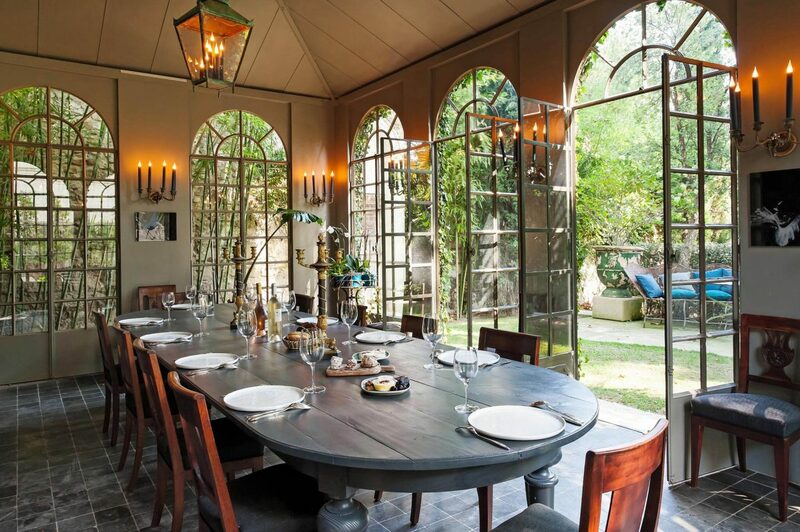 Luxurious French country dining in a room or orangerie flooded with natural light. A 19th century restored French chateau. Avignon Hôtel Particulier. Photo: Haven In. Medium blue accents in a luxurious French dining room with tapestry and blue tiled floor. A 19th century restored French chateau. Avignon Hôtel Particulier. Photo: Haven In. 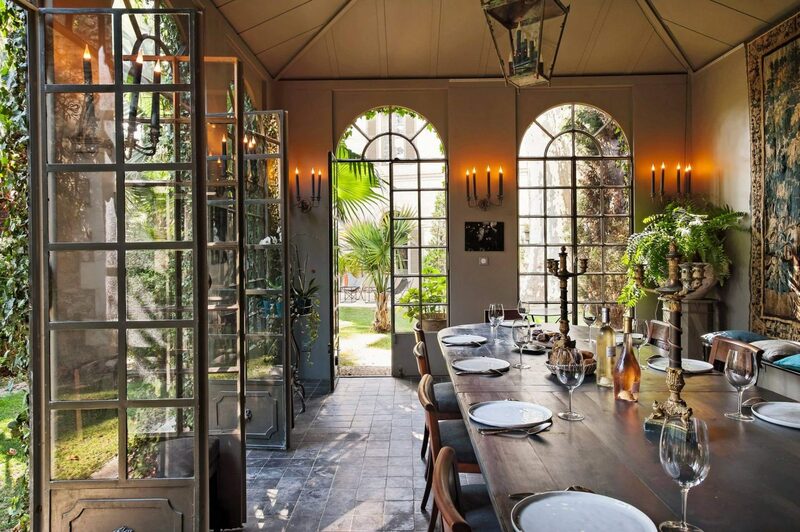 Butterfly chairs, wooden cafe chairs, and rustic pots mingle on a luxurious French patio, lush with greenery. A 19th century restored French chateau. Avignon Hôtel Particulier. Photo: Haven In. What say ye, kittycats? Minds sufficiently blown? For a tour of the tranquil gardens at this property: SEE THIS. SEE MORE EXCLUSIVE VACATION PROPERTIES RIGHT HERE! Well, maybe tomorrow then…there’s more to see so…catch you on the flip flop (1970s truckerspeak for tomorrow demain). Congratulations Michele! I RAN over and voted for you immediately! As I have said many times, I ADORE your blog and it is the first email I respond to each morning. I love the way you share your thoughts through your chosen words along with the wonderful visuals on so many topics – you have inspired me beyond reason and it is because of you, my kitchen is in a half-baked state of much needed refresh! You deserve such accolades and I am delighted to share my voting “huge thumbs up”!! Just voted! Yes my mind is blown. The paint colors are fabulous. Wonder if they are listed anywhere? I was wondering the same thing. I think I need to at least make some educated guesses about those colors – they are fabulous. Thank you for voting! Just voted for you! Hope sincerely that you win. Talk about the Elephant in The room! Wow! It reads more as a home than a hotel. Love the dark, moody paint colours! I’m all for light colours on my walls but here it works, creating a sense of coziness. And, one would be remiss in not mentioning the gallery walls up, up the stairs. Perfection! You bring dreams, beauty, and humour into my mornings. You Must win! Voted yesterday. Your blog deserves it!